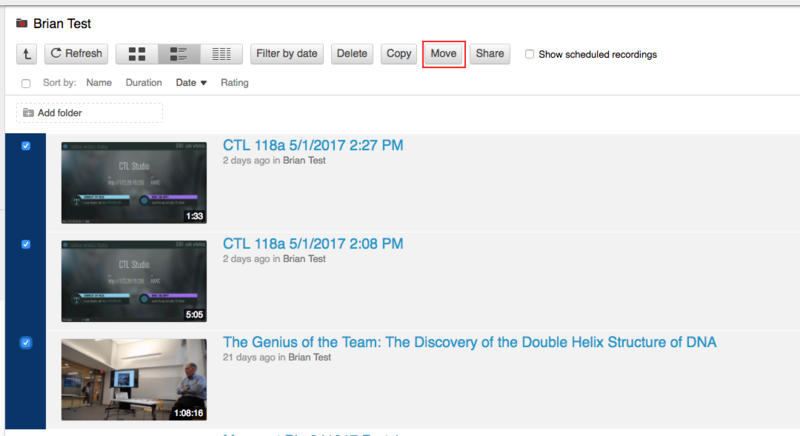 Canvas @ YaleInstructor Guides Media LibraryHow do I migrate Media Library course content from one library to another? In the "Browse" section on the left hand side you will find a list of folders for your current and former classes that have used the Media Library. Navigate to the folder for the course you wish to move content from. 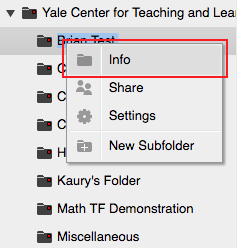 Locate the media you wish to move in your previous course's folder and select which files you would like to move by clicking the box to the left of the file. Then select "Move" from the menu. Prev: How do I record my own videos using Panopto Recorder? Next: How do I find and move content that was in Media Gallery?